When making jewelry, using handmade components can make your pieces especially interesting and unique. Many unique, handmade items are available from sellers on Etsy. 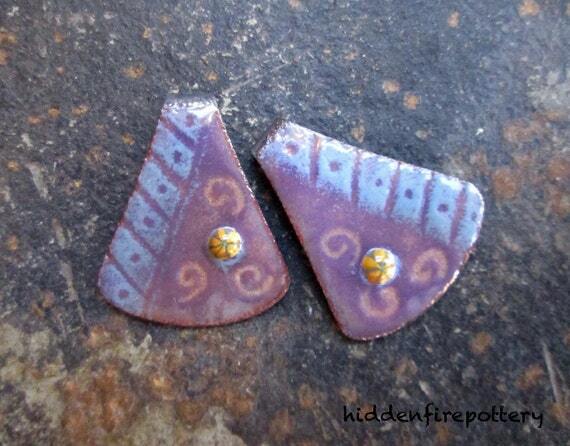 If making earrings, enamel on copper jewelry components make a beautiful choice. These pieces are usually made by applying several layers of enamel over the copper piece and using a torch to achieve the unique effect. Here are several lovely enamel on copper finds from Etsy sellers that you can use to create your own earrings. This artist uses enamel, brass, copper, metal, metal stamping, enameled beads, and enameled hoops to create fine handmade jewelry pieces. These enamel on copper earring components are Nitric Blue colored dome hoops with a 30mm outer diameter and 14mm inner diameter. The shape is slightly domed with one 1.5mm hole. Both sides are enameled. 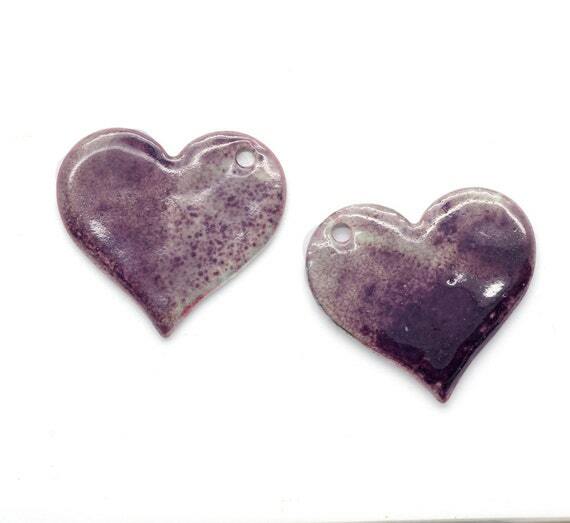 These beautiful purple heart dangles measure one inch across and are made from torch fired vitreous enamel on copper. Both sides are enameled and each heart contains one hole. Color is achieved by the artist mixing a deep, dark purple with a soft lavender color. 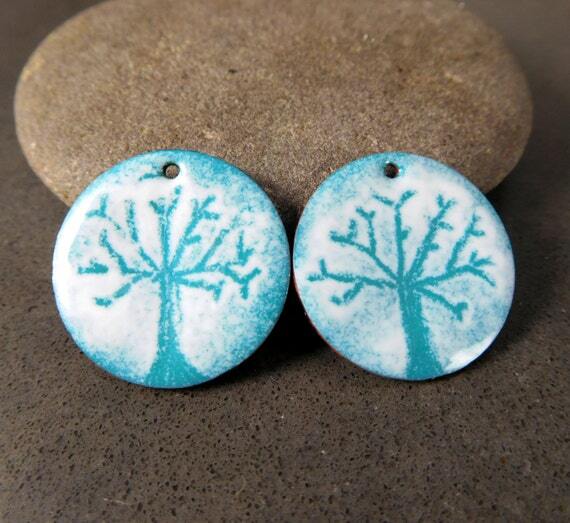 These would make a lovely pair of earrings and could be worn with either casual or formal dress. This artist applies several enamel layers that are torch fired until the desired effect is obtained. This filigree component measures 32mm by 16mm, with several 1mm to 4mm holes built into the filigree design. 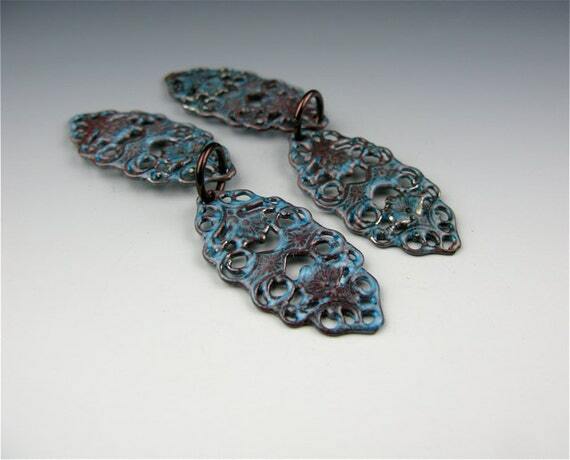 These earring components are a lovely aqua shade with a hint of the copper color peeking through. These would make an elegant pair of earrings. Handmade from copper sheet, vitreous enamels, murrine, and a murrini torch. 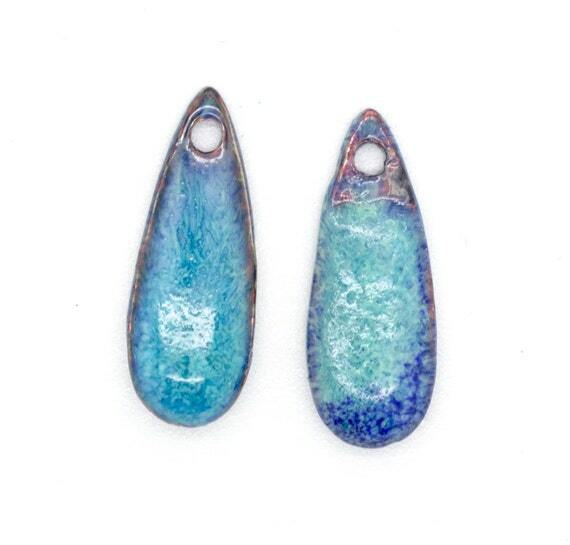 These enamel on copper jewelry components measure approximately 24mm tall by 25mm wide at the base. Features a fold over top to hold a jump ring or wire. Designed using transparent, iris purple, and Atlantic blue enamels with a little flower murrine. They use a Sgraffito technique to create the golden colored swirls and require many layers of enamel and several rounds of firing to achieve the various colors. This artist uses copper discs and fuses layers of powdered glass to them using a torch. 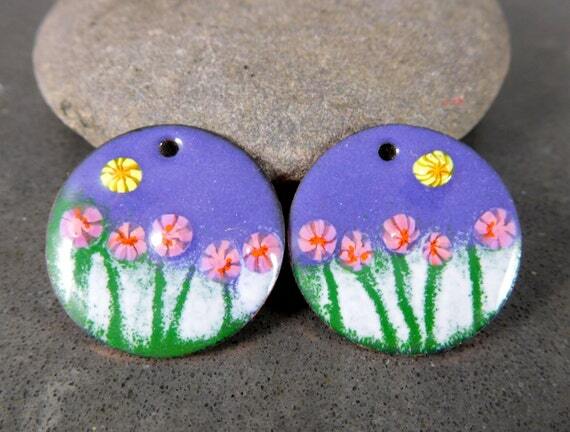 The charms are circular in shape and purple in color with a scene of green grass, pink flowers, and yellow suns. They measure 25mm and are counter-enameled for added strength in the back. 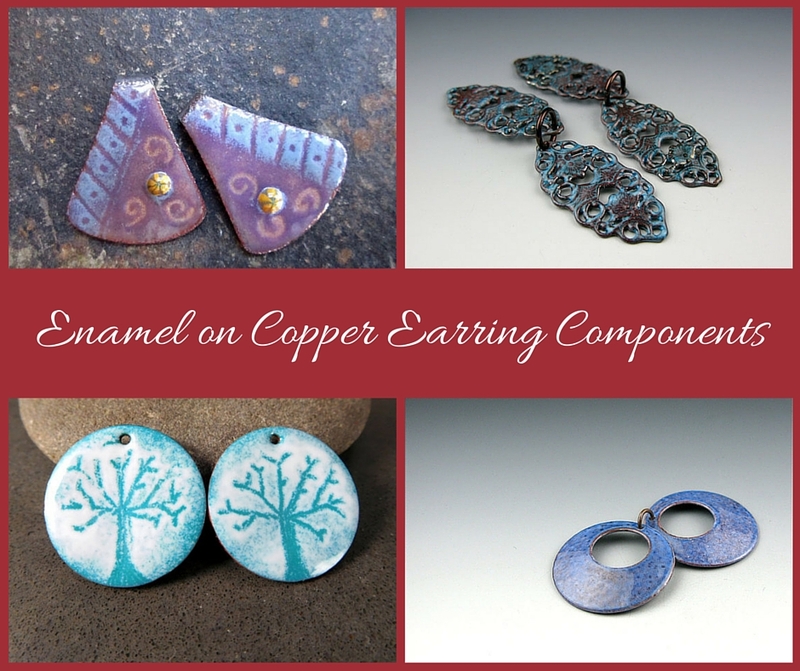 Use these pretty enamel on copper jewelry components to create a great pair of earrings. 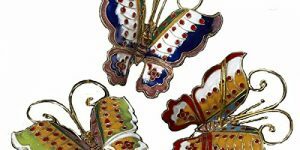 These are handmade jewelry components made from copper, glass enamel, and vitreous enamel. The artist uses powdered glass that melts and flows along the hot copper, creating a unique effect. 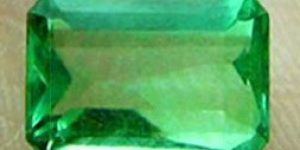 Different colors in multiple layers are used along with multiple firings. 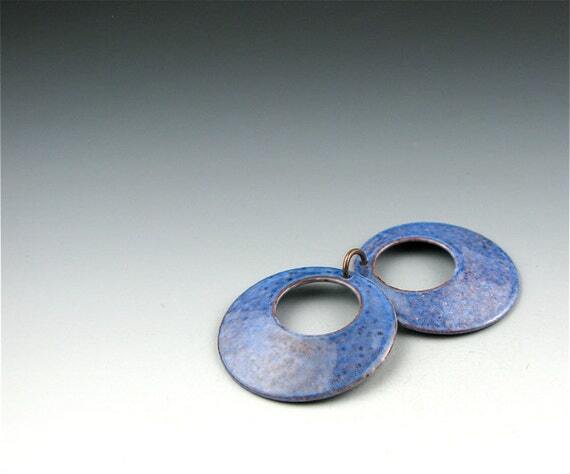 These little teardrop designs are a purple and blue color, with almost a tie dyed effect, and measure 18mm high by 7mm wide , with a hole large enough to accommodate an 18 gauge wire. Each little teardrop is slightly different and unique. Handmade from copper and glass, these jewelry components measures 25mm and are teal and white in color and are a circular shape. Background is mixture of the teal and white, with the silhouette of a tree in blue on each piece. The artist makes these by fusing layers of powdered glass to the copper discs using a torch method. These make a great start toward a beautiful pair of earrings. 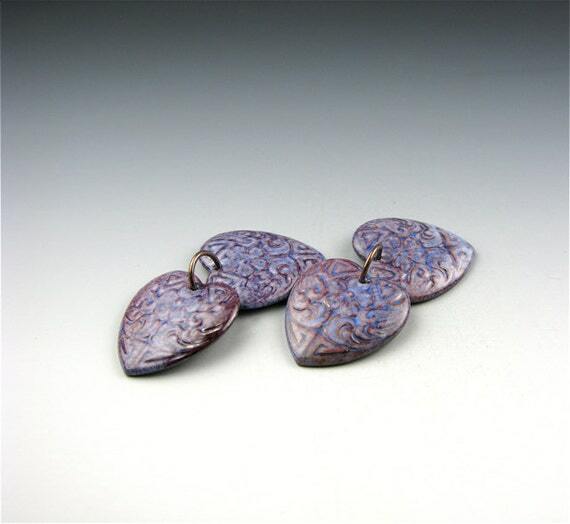 These are enamel on copper jewelry components in the shape of a heart that are Nitric Blue, but appear a lavender/purple in color. These charms measure 22mm by 24mm and have a bead hole of 1.8mm. These pieces are etched with a lovely, detailed design and enameled on both sides for added strength. The artist achieves the desired look by applying several layers of enamel and then using the torch. 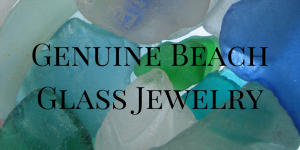 All items are made to order so each piece will be slightly different and unique, adding to the charm of purchasing handmade jewelry components. Use these charms to create a lovely pair of elegant earrings.